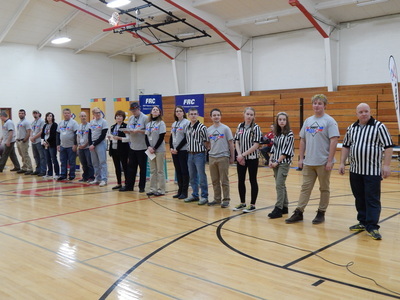 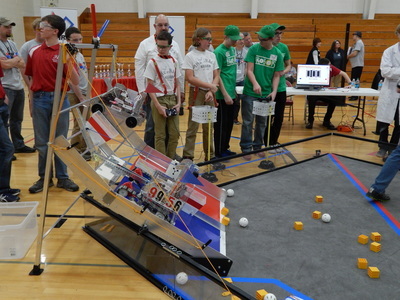 This year was our team's second year hosting the Fox Valley Regional Qualifier Event of WI. It was held on January 16 at Hortonville High School. 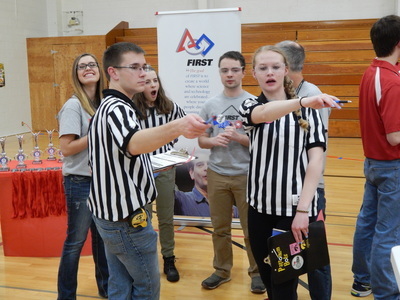 Our team did not compete at this event, but our whole team helped with; set-up, take-down, as well as multiple other jobs during the competition. 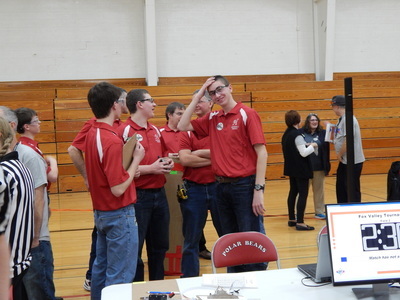 We were very glad to be an hour and a half AHEAD OF SCHEDULE! 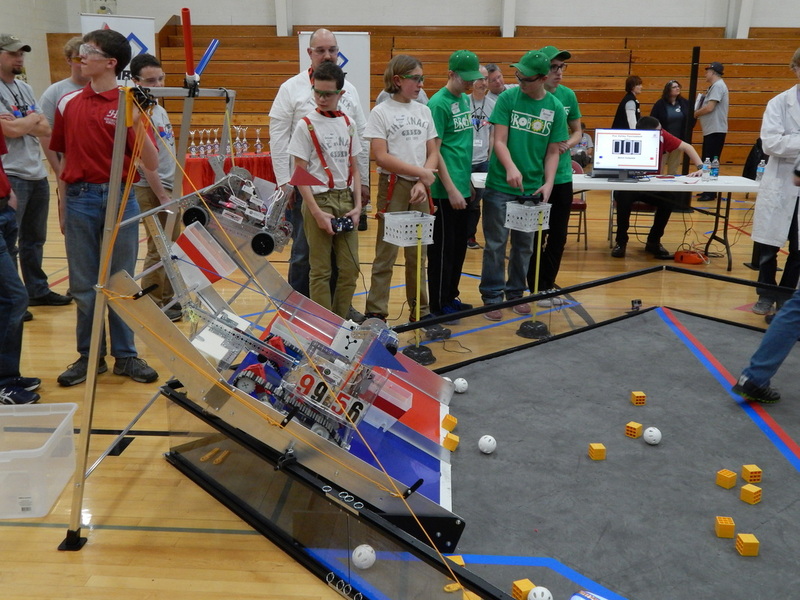 Many teams showed Gracious Profesionalism towards our team by helping us take down the pits. 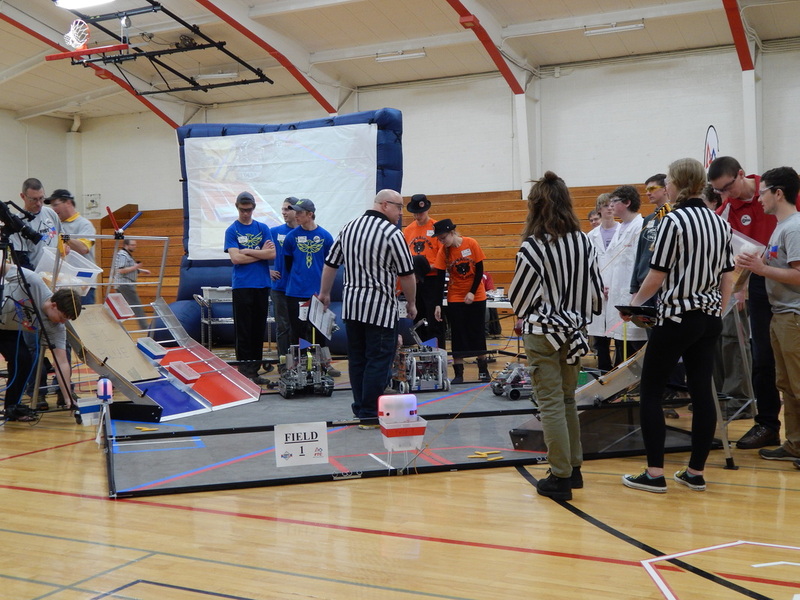 The teams that were advanced are; RoboHackerz, Great Scott, Phoenix, RoboHodags, The Knack, Brobots, RoboChargers, and Viking Robotics. 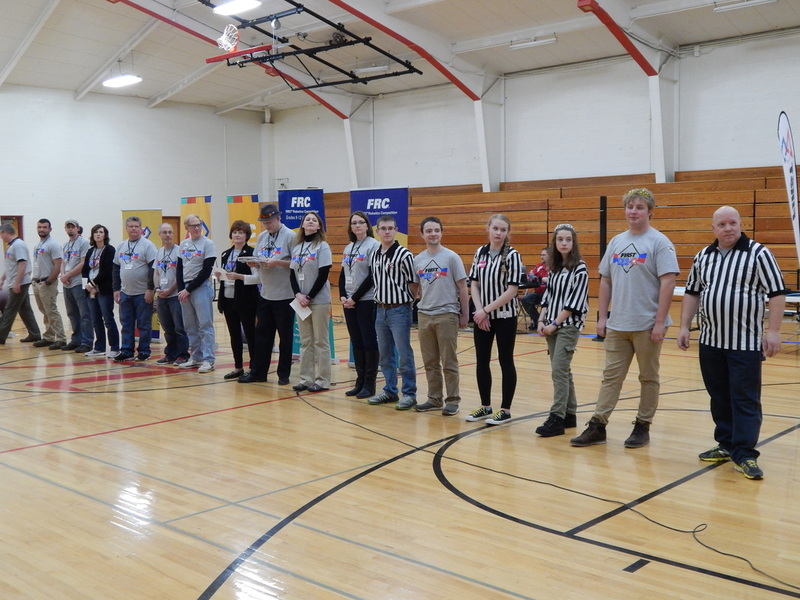 This competition was a success, and we hope that future years of hosting go the same way. 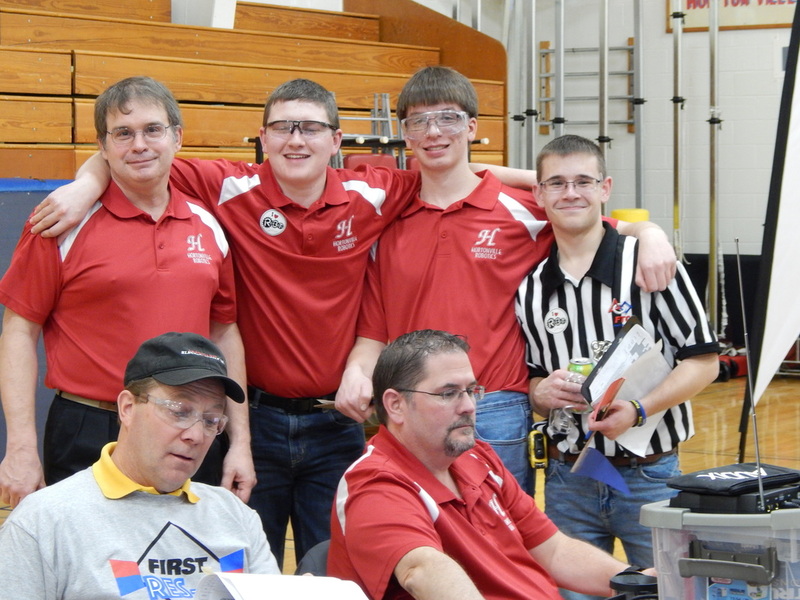 Thank you to Hortonville High School for letting us use the school.